The All-Wards NPA has agreed to host a city-wide forum on the future of Memorial Auditorium, likely to be held September 26, and that will bring us all together for a conversation about Memorial’s needs and our community’s vision for the building, and for the city. More information about the event will be posted here as it comes together. Posted on July 21, 2017 by savememorial. 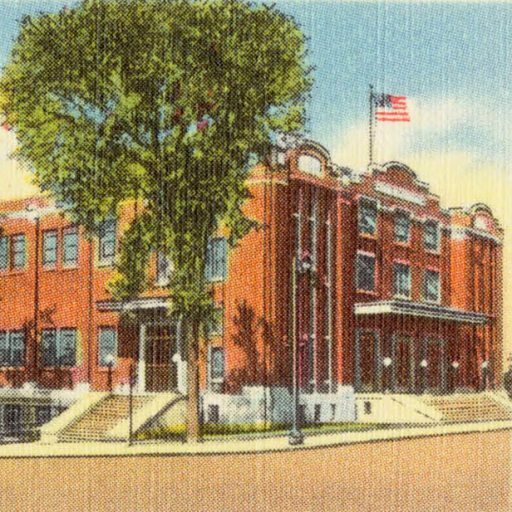 Memorial Auditorium was constructed in 1928 as a community space for gathering, music, public meetings, sports events, markets, arts activities, and to honor local war veterans. Memorial is a publicly-owned historic building and our city’s main commons and large civic space. When it was built, the city pledged to care for it as a community space for generations to come but proper maintenance of Memorial was overlooked for decades. A group of citizens has started an advocacy group to preserve Memorial Auditorium as a community space — a nonpartisan and inclusive effort. Find info here and on Facebook at https://www.facebook.com/SaveMemorialAuditorium/ and read the extraordinary history of the building at uvm.edu/~hp206/2016/pages/haggerty/default.html, and view a presentation about its historic programming at http://www.retn.org/show/how-kill-city-gentrification-inequality-and-fight-neighborhood. Sign the Save242Main.com petition to give Burlington’s historic teen center a future at Memorial Auditorium!